May 17, 2010  Militants have assassinated dozens of influential people in the province in recent weeks as a warning to Afghans not to work with their government or coalition forces. The escalating violence has paralyzed the provincial capital. May 10, 2010  In southern Afghanistan, Taliban militants have paralyzed Kandahar with an escalating campaign of threats, attacks and assassinations. In an interview with NPR, a Taliban commander describes how fighters have flooded into the area, and says the well-organized militants will defeat the U.S.
May 10, 2010  In Afghanistan, there is growing hope that President Karzai's trip to Washington will mend relations between the two governments. But few in the war-torn country think the visit will net any concrete results that will change the tide of destabilization there. April 5, 2010  In Afghanistan, officials are seeking the support of local leaders in Kandahar ahead of a U.S.-led offensive to clear the Taliban out of the southern province. 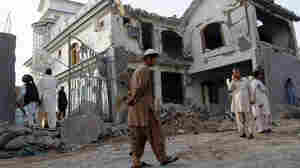 But many locals lack confidence in Afghan officials and Western forces, whom they blame for the recent rise in violence. 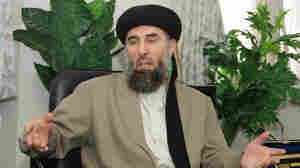 March 30, 2010  Insurgent leader Gulbuddin Hekmatyar recently sent advisers to talk with Afghan President Hamid Karzai about a possible peace deal. But many people in Afghanistan don't trust Hekmatyar. They see him as a ruthless war criminal, and even his allies question his motives. Afghanistan's President: Partner Or Obstacle? March 24, 2010  Relations between Afghan President Hamid Karzai and the international coalition seeking to secure and rebuild his country are rocky these days. But some Karzai critics say it's not just the president who is to blame for why things have turned sour. March 23, 2010  A U.S.-led task force recently closed the notorious Bagram prison north of Kabul, Afghanistan, and has begun releasing detainees it no longer deems a threat. The U.S. hopes the efforts build trust with local Afghan communities, but the reality is more complicated. March 22, 2010  High-level meetings are going on between Afghanistan's government and a senior delegation of insurgents. It marks the first time that President Hamid Karzai has met with such high-level representatives. 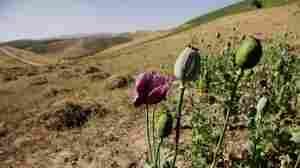 March 17, 2010  The opium trade in Afghanistan is a key source of income for the Taliban. The group uses the money to carry out suicide bombings and other attacks. 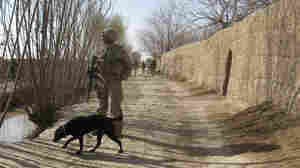 But a team of Afghan police commandos is working around the clock to cut off this dangerous funding source. March 10, 2010  Iranian President Mahmoud Ahmadinejad paid a visit to Kabul Wednesday and denounced the U.S. for "playing a double game" in Afghanistan. He was responding to remarks by Defense Secretary Robert Gates who left the city earlier in the day. March 8, 2010  Hours of live domestic coverage of Taliban attacks and their aftermath is a new trend in Afghan journalism. But last week, officials announced they were banning any future live coverage of attacks in Kabul. While an agreement has been reached to modify that policy, it's unclear what will happen to journalists who refuse to follow the new guidelines. March 4, 2010  Marines from India Company of the 3rd Battalion, 6th Marine Regiment have been clearing improvised explosive devices around the Taliban stronghold of Marjah in southern Afghanistan. NPR's Soraya Sarhaddi Nelson has finished her traveling assignment with the group. During her time with the Marines, she witnessed Lance Cpl. Alejandro Yazzie, 23, be killed in a firefight with the Taliban. March 1, 2010  U.S. Marines and their Afghan counterparts are tightening their hold on the Taliban stronghold of Marjah, in southern Afghanistan. But hundreds of deadly homemade bombs, or IEDs, remain behind. February 26, 2010  Taliban militants stage another brazen attack, including a suicide bombing in the heart of Kabul on Friday, leaving at least 17 dead and many more wounded. The attackers targeted a hotel complex where many Indian doctors and aid workers stay. 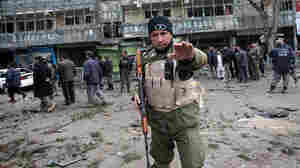 After the bombing, the militants battled government forces for several hours before order was restored. February 26, 2010  In Afghanistan, suicide bombers have carried out a series of attacks in the heart of the capital, Kabul. The blasts killed at least 17 people in an area of the city where a number of foreigners live. The Taliban has claimed responsibility. 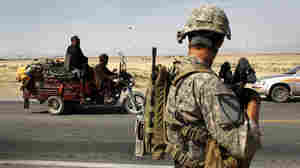 The attacks come as a major operation is under way in southern Afghanistan to dislodge the Taliban from its strongholds.